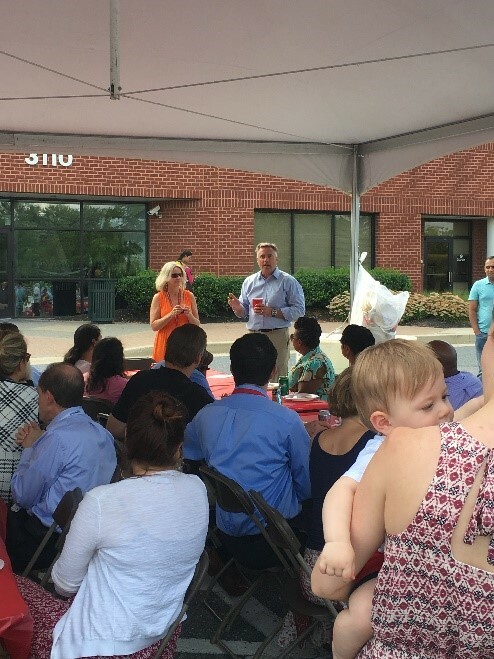 On Wednesday, July 27th, the Health Services Business Unit of ActioNet, located in Baltimore, Maryland, celebrated a major large business award – SPARC! SPARC stands for Strategic Partners Acquisition Readiness Contract (SPARC). SPARC is an IDIQ or Indefinite Delivery, Indefinite Quantity multi-award contract. Holding a 25 billion, unrestricted SPARC award places ActioNet in an exclusive pool of large companies qualified to compete for task orders within CMS and across all HHS operating divisions. Achieving this recognition truly lies in a team effort, as it takes the strength and support of the entire company to land these types of contracts. As a thank you and celebration of this outstanding achievement ActioNet Health Services hosted a unique SPARCeque (our twist on your typical outdoor BBQ)! Tents and tables took over our front parking lot of the Baltimore office. A spread of amazing BBQ by one of the ever popular Baltimore-area caterers – Beefalo Bob’s – and refreshments to boot. Dave C., Vice President of Health Services, and Robyn T., Director of Health Services, kicked off the festivities with a victory speech, which was followed by celebratory cheers and toasts until dusk. 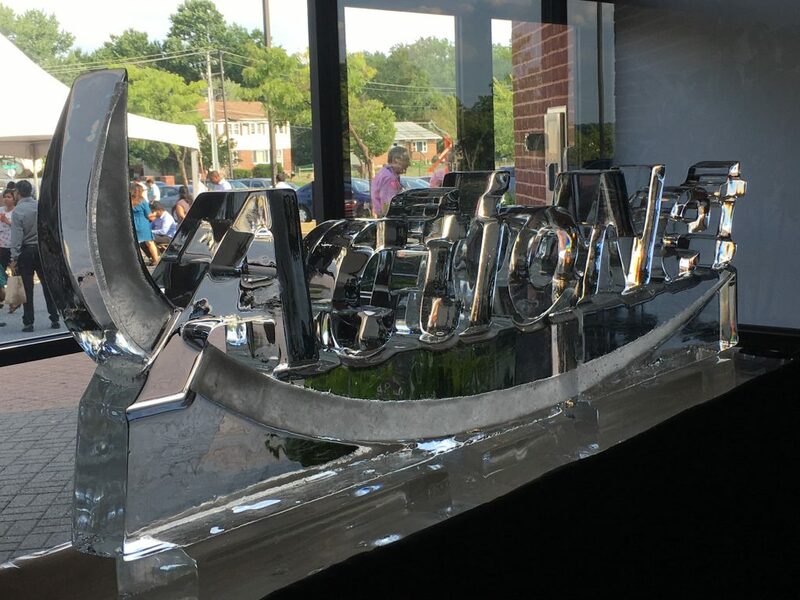 Showcasing a Custom Ice Sculpture – because who doesn’t appreciate a 3D ice rendering of their logo? Pokémon GO. 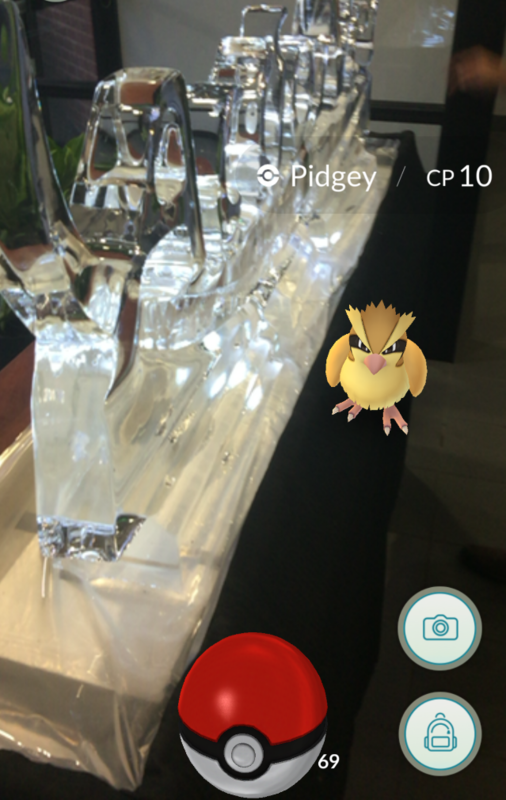 Not only does ActioNet host a Poke Stop right in our very own parking lot, we also had a guest appearance from Pidgey! Unfortunately the ever popular Pikachu stuffed himself with the delicious BBQ, he tapped out of the party early. And of course, you could find him by the popular ice sculpture that everyone just had to get their hands on and capture a selfie! Pidgey is a Normal/Flying type Pokémon introduced in Generation 1. It is known as the Tiny Bird Pokémon.